AURORA — When three male juveniles allegedly tried to rob a group of people moving into an Aurora condominium complex at gunpoint late Friday, one of the movers opened fire, hitting all three, Aurora police said. One of the juveniles died after being taken to a local hospital, and one was taken to the hospital in serious condition. The third later went to Aurora South seeking treatment for a shoulder wound and is now in custody on unrelated charges, according to Aurora Police Chief Nick Metz. According to the department, two males, ages 34 and 36, hailed a cab. After they got in the car, police say one of the passengers held a knife to the man and attempted to rob him. She said she got away from the dog and made it in her house before the dog got to her. The woman said she went outside a second time and the dog attacked her again in her driveway. She then shot the dog with .22 gun. Avant told police he was taking a cash bag from his car into the store when Mayweather approached him while he was inside of his vehicle. Mayweather then sprayed him with a type of pepper spray and began to hit Avant in his face. Avant said Mayweather took the money bag and left on a bicycle. That's when Avant started chasing Mayweather behind AutoZone and the two exchanged gunfire. Avant was not hit, but Mayweather died on the scene. RENO, Nev. — A Nevada man who was accused of murder after confronting two unarmed trespassers with a deadly barrage of gunfire at a vacant duplex he owns was found not guilty Friday of all charges in the latest case to test the boundaries of stand-your-ground self-defense laws. On the way back to Yuma from Las Vegas, I stopped in at N.P. gun sales. I had stopped there on the way up, but had not spent much time. Bullhead city has the lowest gas prices on the route, and I had already filled up at $2.57 for regular unleaded. The price was $3.17 in Las Vegas, $2.99 in Searchlight, and $2.88 in Yuma. Neil, the proprietor, had a big smile for me as I walked in the door. He is a people person, easy to get along with and talk to, and very knowledgeable. This Savage model 99 in .300 Savage was the find of the day. 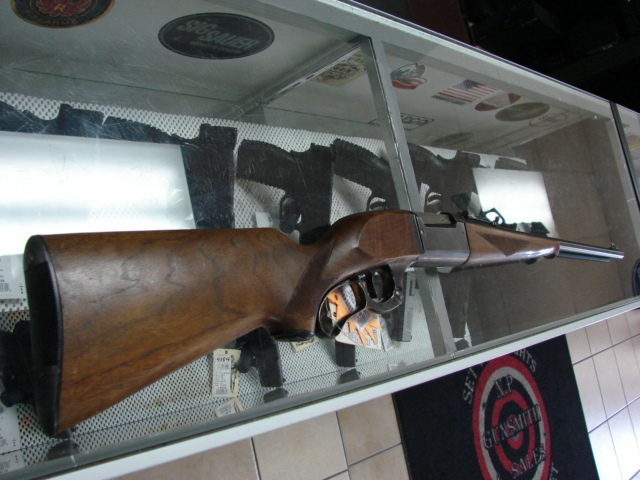 It has nice wood, was in good condition, and was a "transition" model, when Savage switched from brass magazine counters and cocking indicator pins to steel. It has the brass magazine counter and a steel cocking indicator. 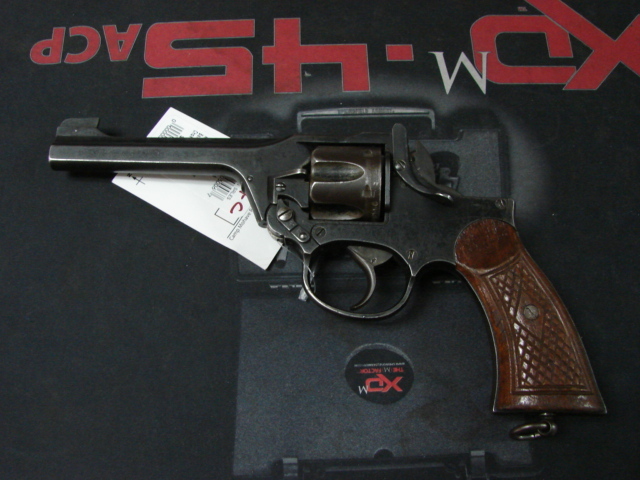 They do not make the model 99 anymore, because it is too expensive to produce. 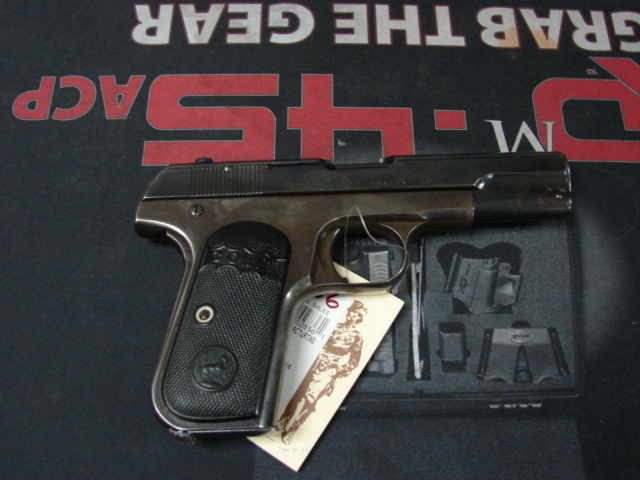 Prices on the model 99 have been all over the place. It is a great hunting rifle. I have a soft spot for it, as I shot my first buck with one when I was 13. At $459, I thought it a good deal, but Neils says the demand is low in the Bullhead City area. I had been discussing the prices of Colt Pythons a few days prior. Apparently all the Colt "Snake" names are commanding high prices. This six inch King Cobra had a price tag of $2,250. 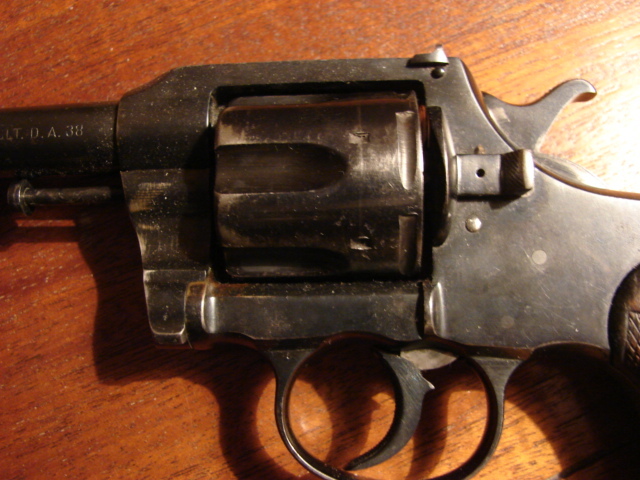 Colt made a bad decision when it decided to stop producing most of its revolvers. I did not pay much attention to the prices, because I was more interested in what items were there, and not very interested in purchasing. It is a strange place to be when you think more of giving guns away, instead of buying them. At first glance, I thought this revolver was an Enfield. But it was a Webley and Scott! 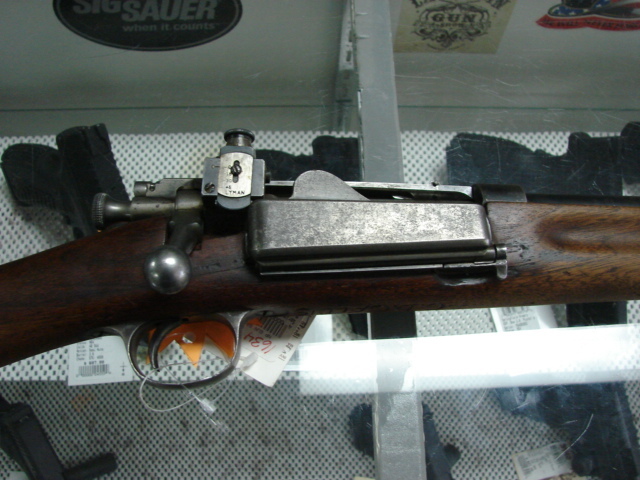 They are much less common in this configuration than the Enfields are. It appears that someone customized these grips. I did not look at the price of the sporterized Krag. Someone did a good job of putting on a Lyman peep sight. 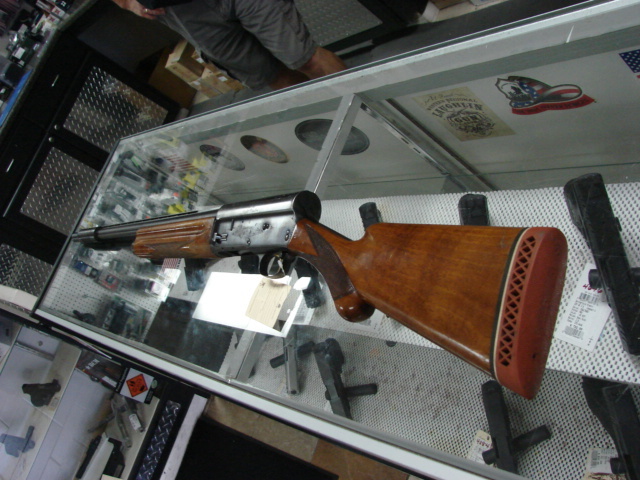 Krag rifles have always been known for the smooth bolt action. The 30-40 falls in between the .300 Savage, and the .308 for power. It is adequate for all North American big game, though I would pick something a little bigger for the big bears. The 1903 Colt Pocket hammerless is not commonly found any more. At least 508 of them were bought by the OSS (precursor to the CIA) during WWII. 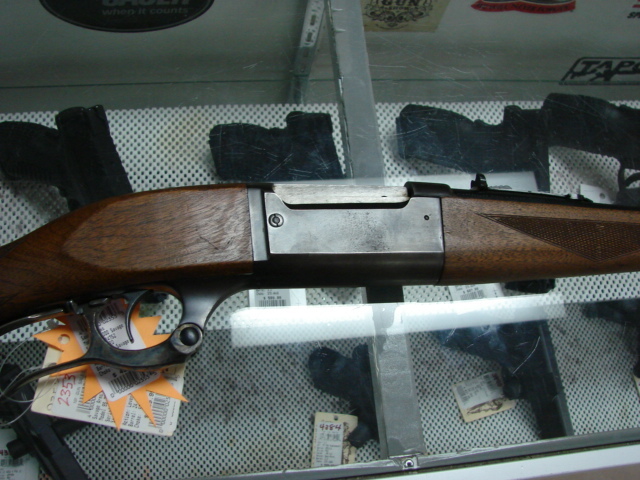 There was a Browning Auto-5 in 12 gauge, with a Cutts Compensator and Lyman interchangeable choke tube. With a bit of looking, more Lyman tubes could be found. I have heard that they come up on ebay now and then. 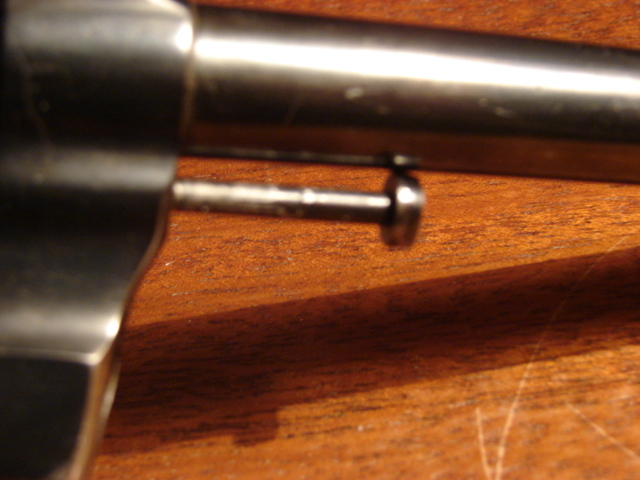 Here is a closeup of the Cutts with the Lyman tube attached. 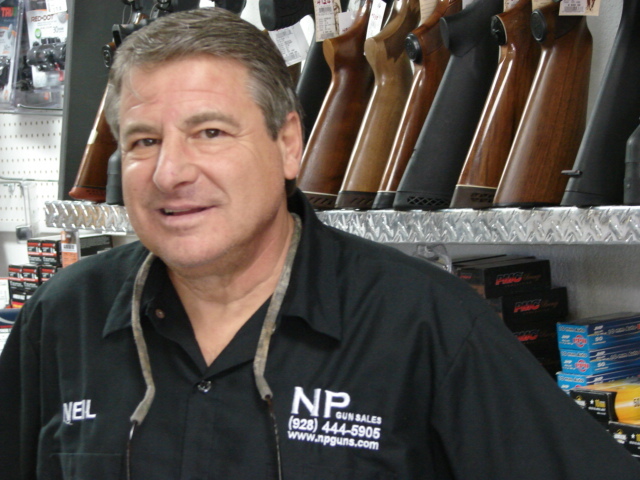 Neil provides gunsmith services. 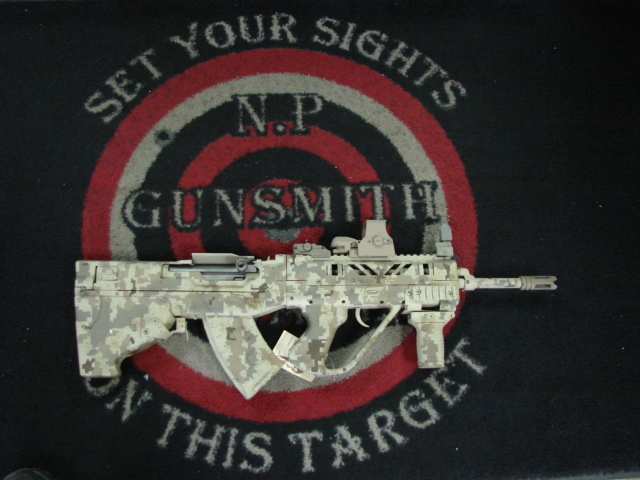 He also converts SKS rifles into this bullpup. It sells as a kit, but requires several hours of gun-smithing. I always enjoy stopping at the smaller shops and seeing what they have. You never know what you are going to find. I feel mostly recovered after a lingering virus with a nasty cough. As related in another post, I was able to experience what it is like to be old, sick, and tired (while open carrying). I had not conducted my usual exercise regime for nearly two months, being interrupted by travel, care for the new Grandson, and illness. Yesterday morning I did a hundred crunches, then drove back to Yuma from Las Vegas. I have found crunches to be helpful in strengthening the core and relieving lower back pain. I usually climb a mountain twice a week as part of my regular exercise. I should add that it is a small mountain, and climbing it consists of walking up the access road to the antenna farm. It is a popular means of exercise. The gain is about 1200 feet, and the round trip is close to three miles. When I was pushing myself, I did it under in under an hour; for maintenance, I routinely did it in an hour and a half. This morning took an hour and forty minutes, which I was pleased with, as I did not push and had not done it for nearly two months. A young lady at the top was kind enough to take my picture. People who climb the mountain seem to be a cut above the average, but a number of cars were broken into at the parking area, about a year ago. Surprisingly, the perpetrators were caught by an alert officer only a few days later. I have never seen a rattlesnake on the climb, but some have. They leave people alone, and we do not molest them. When they passed neighbor Wagner’s house, his boxer Bruce darted out of the open garage toward Lou and the dogs began to act aggressively toward each other. McCarthy attempted to pull his dog away, but police said the leash snapped and the interaction devolved into an all-out dog fight. The teen ran to get his mother, Nel-Lani Powers, for help. But Wagner grabbed his pistol and shot Lou in the back before Nel-Lani was able to address the situation, she said. 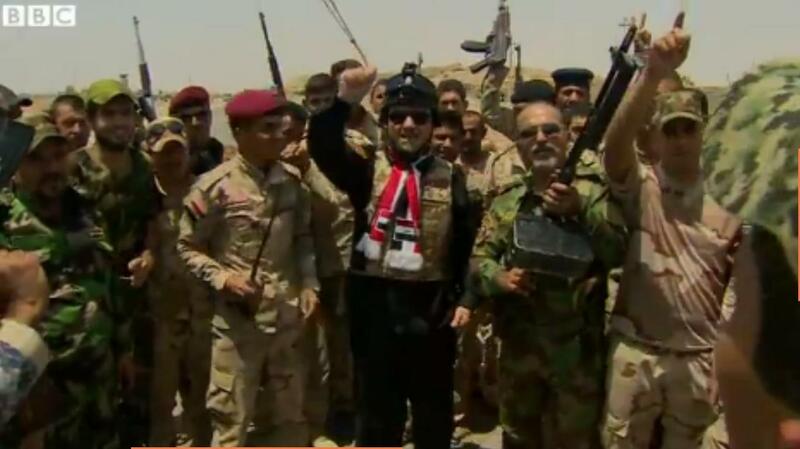 In this image From the BBC, a militia leader makes sure that the PKM is up front and center. As in the picture of the Al Shabab marchers, it makes sense to put some of the more powerful weapons up front, to show that you are well armed, perhaps to intimidate enemies, or gain some political clout. This might be considered a local version of the Soviet May Day military parade. With both side and bottom shots of the soldier/militiaman with the PKM, the use of the feed box/ammunition box is clear. 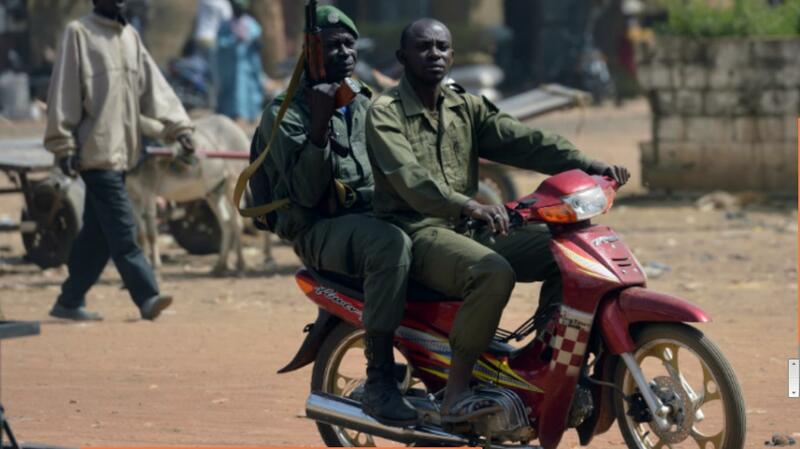 They are conspicuously lacking in the photo of Al Shabab, in Africa, below. The following screen shot shows another Iraqi militiaman in Anbar province, in the same group as the first photo, with a PKM without an ammunition box. He has an ammunition belt over his left shoulder. I do not know if use of the PKM without a feed box/ammunition box is common. The rest of the armed men appear to have AK variants. 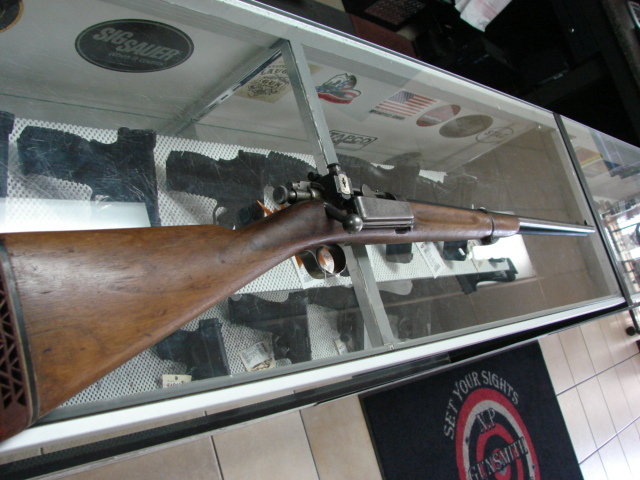 Perhaps someone with sharper eyes can spot a different model rifle. 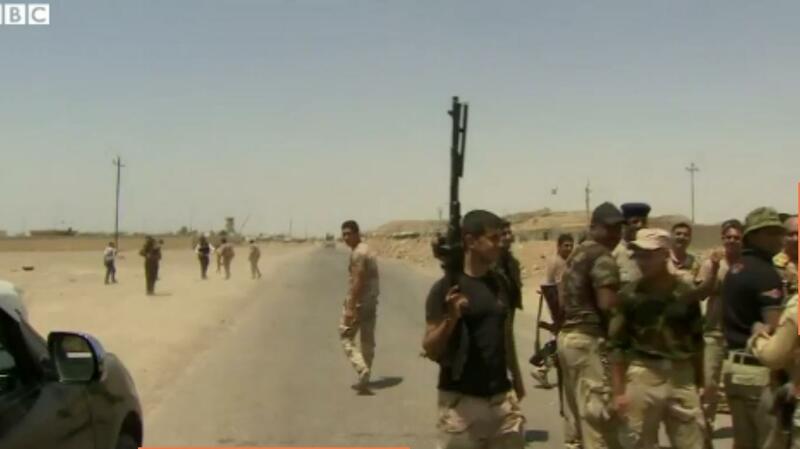 Vast numbers of all sorts of rifles were discovered in Iraq. 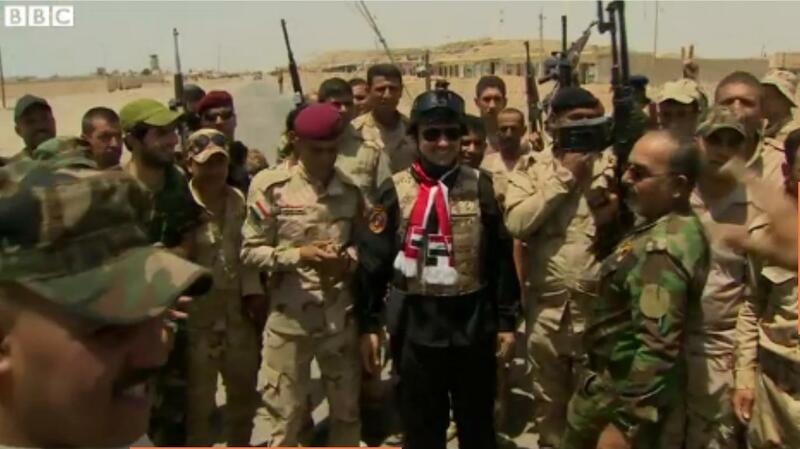 Iraqis prize weapons, and rifles have likely been accumulated there from the time of their invention until the present. “I was under the impression it was going to be a lot closer than that,” said South Portland Police Chief Edward Googins, an opponent of the measure. 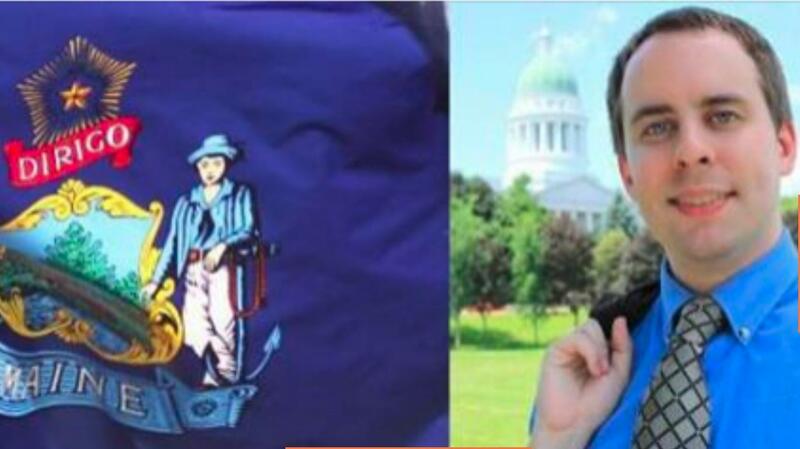 Michael Bloomberg's lobby groups have been buying ads in an attempt to convince Mainers to pressure their representatives to vote against the bill. Main has legislation that requires reporting of advocacy efforts, but only if the advocates have direct contact with lawmakers. B. A person may not, while in or on a motor vehicle or in or on a trailer or other type of vehicle being hauled by a motor vehicle, have a cocked and armed crossbow or a firearm with a cartridge or shell in the chamber or in an attached magazine, clip or cylinder or a muzzle-loading firearm charged with powder, lead and a primed ignition device or mechanism, except that a person who has a valid Maine permit to carry a concealed weapon is not otherwise prohibited from possessing a firearm may have in or on a motor vehicle or trailer or other type of vehicle a loaded pistol or revolver covered by that permit. 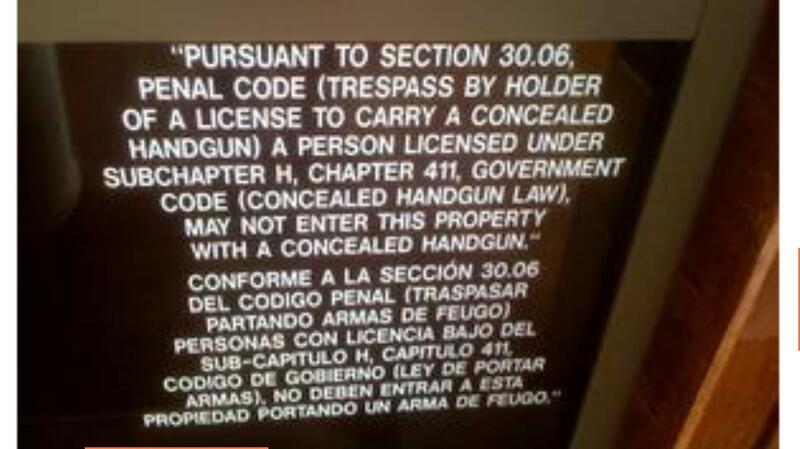 This bill authorizes a person who is not prohibited from possessing a firearm to carry a concealed handgun without a permit. This bill also authorizes a person to possess a loaded pistol or revolver while in a motor vehicle or a trailer or other vehicle being hauled by a motor vehicle. Maine came within one vote of passing constitutional carry in 2013. Majorities of both houses are signed on as sponsors of the bill this year, as L.D. 652. The bill has had strong grassroots support. Governor Paul LePage has a record as a second amendment supporter. It is very likely that he would sign the bill. A man shot his girlfriend's ex-boyfriend late Wednesday after the ex tried to break into her Orlando home and threatened her, according to police. The shooting happened around 11 p.m. at The Park at Vittoria apartments on Long Road near Clarcona Ocoee Road. A neighbor is accused of shooting two brothers Wednesday night on West Bandys Cross Road in an ongoing domestic dispute, detectives said. The brothers also threatened to kill Edwards and harm his family, the sheriff said. One brother was shot once and the other was shot multiple times. At that time, a male suspect entered the store armed with a gun and attempted to rob the employees. However, this time one of the clerks was ready and had a gun with him behind the counter. When the clerk saw the suspect coming in, he grabbed his gun and there was an exchange of gun fire. Police said it appears no one was hit. One man was shot after exchanging gunfire with another man during a dispute about a camper trailer. Investigators say that Charles Howard, 61, was shot in the shoulder after instigating an argument with another man he saw towing the trailer down Plowman Road at 5:30 p.m. Tuesday. 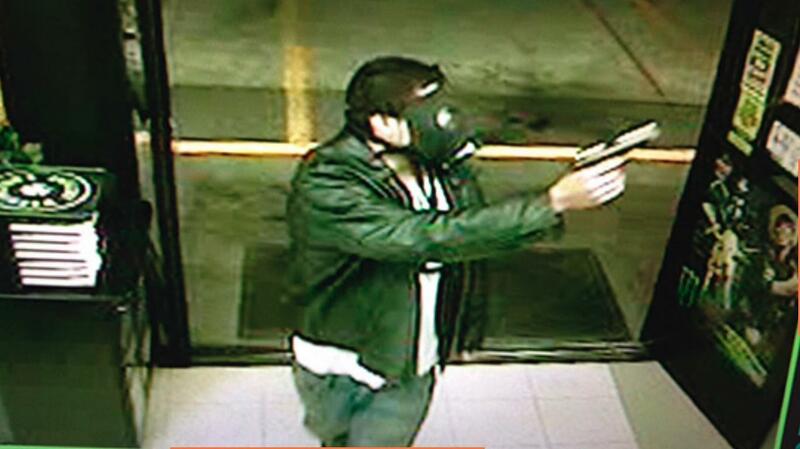 WA: Did Robber, Wearing gas mask, when Shot at, Drop Gun? The employee's friend took out his own firearm and followed the suspect outside, police said. The suspect turned around and pointed his gun at the man, who in turn fired several shots at the suspect. Officials aren't sure if the suspect was hit. It appears to be the same gun used by the Gas Mask robber. Did he drop it? This is a developing story. I will update it as I get more information. 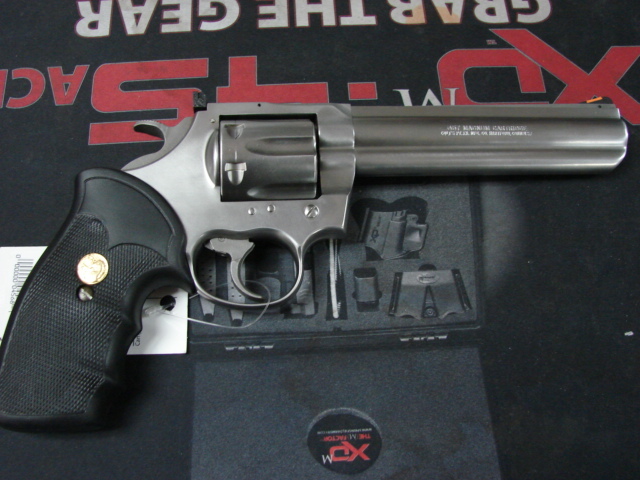 The pistol shown appears to be a Smith & Wesson Sigma, the SW9VE variant. The gas mask looks like an Israeli surplus model, without the filter. When Ferguson refused to leave and continued to approach Lynette Jackson, her husband grabbed her gun and shot Ferguson, who ran away. No charges were filed against John Jackson. Upon his release, Ferguson faces multiple family violence charges including some stemming from a fight with his sister earlier Tuesday night. She told investigators Ferguson was very intoxicated and she asked him to leave when he started choking her and broke windows in her home before he left. It is reported that the verbal argument turned to a physical argument and the 46-year-old female was armed with a handgun. When the 48-year-old male came at her, she shot him in the leg, according to tweets by Seo. TULSA – A midtown store owner took matters into his own hands when a man entered his store, demanding money. The owner of Moe’s Quick Mart pulled out his gun and started yelling at the suspected robber to get out. He says he’s glad the man left peacefully. Good and bad news for Texas knife law reform. The good news is that HB 905 is headed to Governor Abbott's desk. If only one knife reform bill is to pass this session, this is the preferred one. The bad news is that knife decriminalization seems to have been killed. 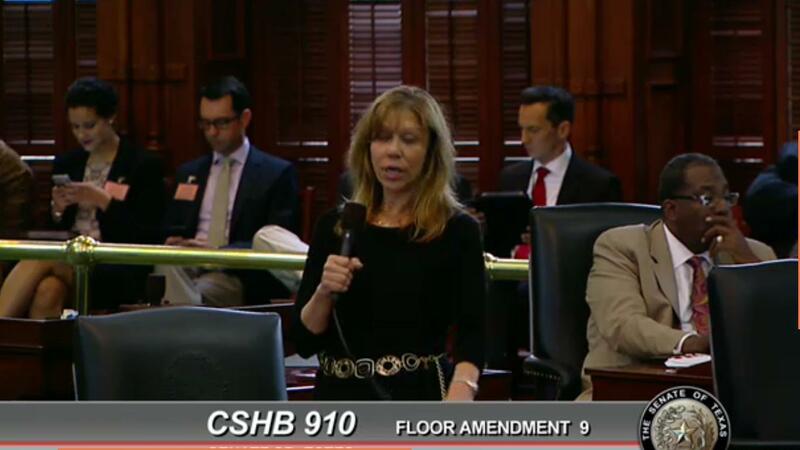 In a spot of good news, HB 905 (knife preemption) is on its way to Governor Abbott. Unfortunately, HB 3884 (decriminalization of "illegal" knives) was killed after Senator Whitmire double-crossed us. He agreed to sponsor HB 3884 and hear it in his committee, in order to get one of his own bills out of the author's (Rep. Harold Dutton) committee. I have not been able to confirm the comment by Bladed, but he has been a very reliable source. I know that HB 905 was on the "Local & Uncontested" calendar, and that HB 3884 had not been listed there. I suspect that it is too late in the session to resurrect HB 3884, which was probably Senator Whitmire's strategy. Per my report published Friday at The Shooter’s Log, actors were used to portray customers in a fake gun shop “public service announcement” produced by States United Against Gun Violence. That information comes from the New York City Mayor's Office of Media in its response to a Freedom of Information Law (FOIL) request submitted in March. Additionally, all replica firearms used were evidently “authorized” without official documentation to ensure legality and inventory accountability. “Actors are interviewed on camera in a fake gun store,” the permits’ scene descriptions reveal. It had previously been known that the “gun store proprietor” behind the counter was an actor -- and one who has previously made a living glorifying fake “gun violence” -- but up until now, speculation on if the “customers” were also plants has been just that. By presenting their “PSA” as a “social experiment” recorded by "hidden cameras," viewers have been encouraged to conclude that minds were changed about buying a gun based on CeaseFire’s compelling arguments against owning them. Locklear was following a vehicle driven by Billy Pate, no age or address given. Pate's vehicle wrecked; Locklear got out of his, carrying a shotgun, and began walking toward Pate's. Pate, armed with a handgun, shot Locklear twice in "what appears to be self-defense," the release said. Pate was injured by shotgun pellets, the release said. One charge was conspicuously absent from the indictments that a Baltimore grand jury issued last Thursday in connection with the death of Freddie Gray from injuries he suffered in police custody. The three cops who arrested Gray—Lt. Brian Rice, plus Officers Garrett Miller and Edward Nero—are no longer charged with false imprisonment. That change reflects a dispute about the legality of the knife Gray was carrying, which was the official justification for his arrest. But the same fuzziness that works to the officers' advantage discredits the law they say they were enforcing. According to Miller's report, he was patrolling on bicycle along with Rice and Nero on the morning of April 12 when they encountered Gray, who "fled unprovoked upon noticing police presence." After catching Gray, Miller "noticed a knife clipped to the inside of his front right pants pocket." Alan Gura has filed a motion to hold the District of Columbia in contempt for failing to follow Judge Scullin's preliminary injunction in the Wrenn v. D.C. second amendment case. 7. Mr. Powers’ experience is particularly troubling. He is a licensed D.C. firearms instructor, who was (finally) allowed to register his handgun.1 There is no question that Powers meets all background check and training requirements. There is no legal basis to deny him a permit. 8. District law does not provide for this sort of 90 day delay. The District has 90 days to issue the permit, and may extend this time period for an additional 90 days “where there is good cause for additional time to complete the investigation and the applicant is so notified in writing.” 24 D.C.M.R. §§ 2339.1, 2340.1. “After completing the investigation of the application, the Chief shall either: (a) Deny the application pursuant to § 2340; or (b) Issue a preliminary approval of the application.” 24 D.C.M.R. § 2339.2 (emphasis added). Since “good reason” and “proper reason” no longer need be investigated, there is no need for the process to take even 90 days, let alone 180 or more days. 2) DC files their appeal within the time they have to oppose Gura's motion in the District, accompanied by a motion to stay, which will probably be granted and thereby moot Gura's motion. This is fun stuff, but likely calculated more to push DC along one way or another rather than with any expectation the motion will actually be granted. In other words, more likely intended to cut off the games by DC before they start playing them again. If you can, read the whole motion. Gura and his team do a wonderful job. A domestic incident on Binford Drive ended with the woman critically injuring her boyfriend Tuesday morning. Huntsville police have determined it was self-defense, and she will not be arrested at this time. AZ: Man Shoots Neighborhood "bully"
Emily Fromelt, public information officer for the Bullhead City Police Department, said witnesses told police that Passons showed up at the residence uninvited around noon Monday and allegedly tried to provoke a fight with Forrest Kutschat, Buff Kutschat’s adult son. At some point, the elder Kutschat pointed a gun at Passons and told him to leave. Instead, Passons reportedly took a step toward Buff Kutschat in an aggressive manner and Kutschat fired a single shot, striking Passons in the abdomen. The Hannibal Courier-Post (http://bit.ly/1Bn8mCp) reports that 38-year-old Clinton Dorsett Collins was shot as many as four times Saturday night and died at the scene of the home near 30-resident Annada, about 65 miles northwest of St. Louis. No additional details have been released, but Pike County Sheriff Stephen Korte said in a statement Sunday that the homeowner apparently acted in self-defense. According to IMPD officials, police responded to the report of a person shot at Abington Apartments. Police said two men entered the apartment unit and one of them fired shots. The victim returned fire. The suspects fled the scene. Police said a man fitting one of the suspects descriptions showed up to Sidney & Lois Eskenazi Hospital with a gun shot wound. Police have not confirmed if he is one of the suspects. There were a total of three people inside the apartment at the time of the shooting and none were injured, police said. Concealed carry holder and nurse, Victoria Davison-­Adams shot a 15-year-old in self-­defense. She’s learning how to cope with the trauma. Is the Supreme Court Going to Chip Away at Heller? The Supreme Court has been doing a very peculiar dance around an appeal from the Ninth Circuit. The appeal is about a preliminary injunction in the case Jackson v. San Francisco, on two regulations. One requires that (1) "the handgun is stored in a locked container or disabled with a trigger lock that has been approved by the California Department of Justice," or (2) "[t]he handgun is carried on the person of an individual over the age of 18. The second regulation bans the sale of expanding ammunition. In Heller, the Supreme Court considered whether the District of Columbia's regulations, which barred the possession of handguns both inside and outside the home, and required other firearms to be kept "unloaded and disassembled or bound by a trigger lock or similar device," violated the plaintiff's Second Amendment rights. It is hard to see that a court could rule such a regulation to be Constitutional. But the argument is made in the District Court ruling, and was upheld by the Ninth Circuit. It was, essentially, since Heller did not explicitly say that we could not require handguns to be locked up at all times that they are not carried directly on the body of an adult, well, then that is an allowable regulation. This goes directly against "Shall not be Infringed" and instead makes the court rulings a game of "How much infringement can we get away with." As such, it is a direct challenge to Heller. If the Supreme Court allows this ruling to stand, they are essentially telling the appellate courts: Heller did not really mean anything significant. We will let you chip away at the right to bear arms until nothing meaningful is left. That many in the Supreme Court see this seems likely. The three judge panel on the Ninth Circuit is pushing the Supreme Court to see how much they can get away with. With the new Obama appointees to the Court, it may be that neither side is sure of how the vote will go. The Court has scheduled the review of the petition for cert. five times. The next scheduled time is May 28th, which will be the sixth. David Hardy, who follows such matters, says that he has seen cases be rescheduled once, but never as many as four times. I've seen that happen once on cases (maybe the Justices wanted more time to mull it over, maybe they judge couldn't get to it in time) but never this many. So something different is going on in this case. Maybe there are health problems with one of the justices. Maybe something is happening that we do not know about. "The Court of Appeals' conclusion that San Francisco may venture where this Court forbade the District of Columbia to go is so patently wrong that summary reversal would be appropriate." It is hard to know what is going on, but the dithering on what appears to be a clear issue is not reassuring. If guns can be required to be locked up, unless they are carried on the body of an 18 year old or older, why not require that they be in a retention holster? Why not require weekly inspections to insure that the locking devices are present? If ammunition that expands can be forbidden for sale, why not limit the ammunition to only approved government issue for sale in special "ammunition stores" with records of every round sold, and a requirement for the return of every spent case? It is clear that appellate courts hostile to the second amendment, are trying to chip away it, so as to reduce it to a meaningless historical footnote. Update: Sources have informed me that there are other cases that have been rescheduled more often, as much as 17 times, I have been told. The rescheduling probably means that one or more justices are seriously considering the appeal. The off-duty officer said he attempted to get the dogs to leave his yard just before the shooting at around 11 a.m. Monday. "He tried to get the dogs to leave," said Enriquez. "He was concerned because he had kids in the house. He was concerned for their safety and his safety." The off-duty officer told investigators that the dogs were aggressive. "They attacked him, and that's when he shot both of the dogs," says Enriquez. "We have contacted some neighbors who say these dogs have been aggressive in the past." Two people were getting a vehicle detailed by an employee at the car wash, Miyama said. When they realized they were being robbed, one of the occupants of the vehicle pulled out a gun and shots were exchanged between both groups. The vehicle’s occupants, a car wash employee and one of the robbers were struck by gunfire, Miyama said. All four were being treated at University Medical Center where the extent of their injuries wasn’t immediately available. According to authorities, an armed man approached a person at 2325 NW 65 Street. The victim took off running on foot and the thief reportedly opened fire. Upon arrival, deputies found the body of Clinton D. Collins, 38, of Annada. Collins was pronounced dead at the scene. The resident was identified as the shooter, Korte said. Officials said their investigation so far indicates that the homeowner acted in self-defense. The events leading up to the shooting are being investigated. Additional witnesses are being sought and an autopsy is pending. 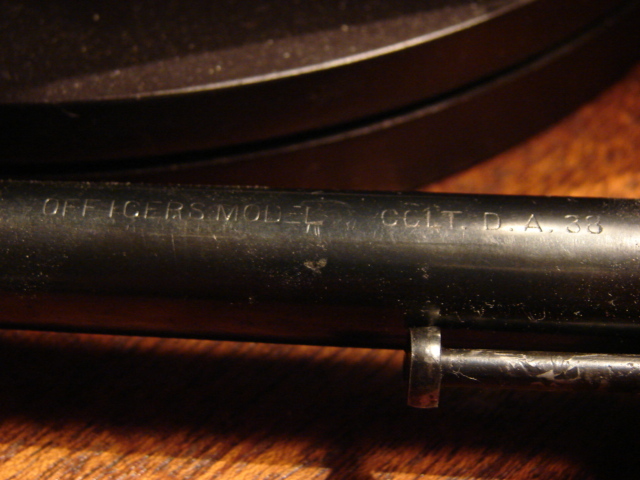 My father had a Colt officers model .38 for many years. I first remember it being in the house about 1960 or so, but he likely had it well before that. I recall shooting it as a child, and thinking that it was powerful, and loud. My brother was given the pistol; I did not feel slighted, as there were plenty of guns to go around. One of the interactions that I had with the old Colt was when it was impounded when my brother got into some legal difficulties. The Colt was sent to the Crime Lab in Madison, Wisconsin. I was going to graduate school in Madison at the time. My father still owned the pistol, and he asked if there was anything I could do to check on it. I made a visit to the Crime Lab and inquired as to what the status of the revolver was. They asked if I was a lawyer. I said that I had studied the law a bit (which was true). A couple of weeks later, the pistol was back in my father's possession (about 300 miles away). 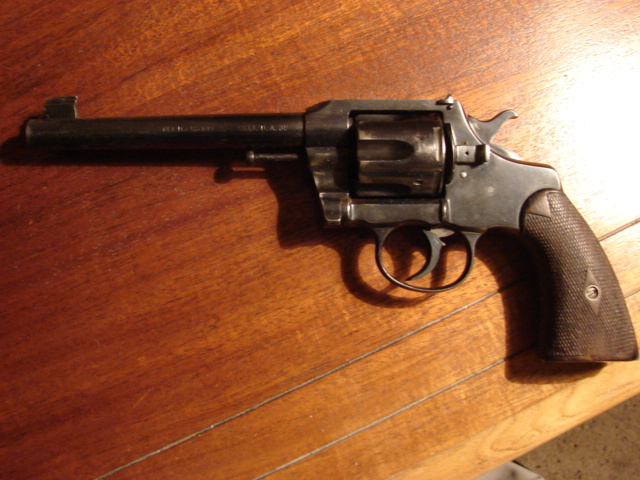 Now several decades later, the revolver has been refinished. Perhaps it had picked up some rust, I never understood the reason for the refinish. I recall it being in better shape, but a lot can happen in 40 years. It has been passed on to the next generation. I know that there are experts who can give me an idea of some of the quirks of the pistol. I do not have a serial number. Is the cylinder pin/ejector rod standard? Examples that I have seen have a different end shape, that is not as broad as this one. The cylinder latch is different than most Officer models that I have seen. Was it a substitute, or an older version? Maybe it was an economy measure during WWII? While the pistol has considerable sentimental value to the younger set, the finish has been rather beat up, and the refinish job left much to be desired. When I took the pictures, it still locked up tight, but the double action trigger was a bit stiffer than the Smith & Wesson models that I have become accustomed to. The single action pull was delightful. I always liked the sight adjustment system on these guns, even if the notch and bead were very fine, smaller than what I now prefer. A bit more family history. The house that I was born in was built in the 1920's and added to over the years. I helped build an addition (not much help as a small boy) that had a picture window that faced the Namekagon river. The siting was ideal because a couple of small islands screened the house from the main channel, but the picture window looked directly downstream for about 200 yards of the Namekagon. The main window had side windows that could be opened. 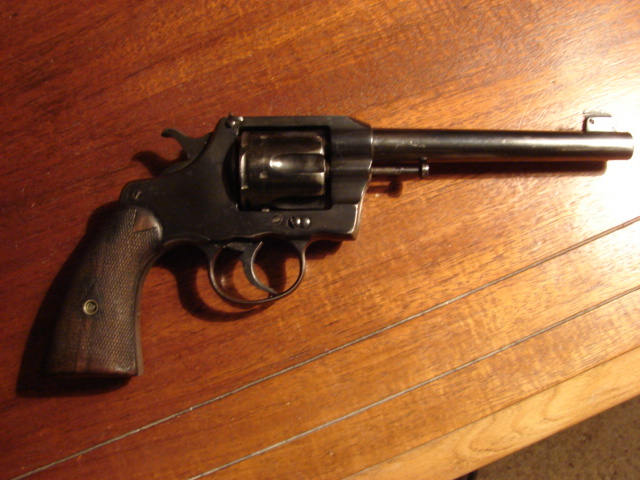 The Colt ties into this story because Karl McConnell, a close friend (and boss) of my fathers, is said to have used the Colt to pot a deer standing in the river, by opening a side window and firing out of it, as the deer was standing about 75 yards away. Not an impossible shot, by any means. The old revolvers had a reputation for good accuracy. Many can hold an inch at 25 yards, which would be a 3 inch group at 75. It is easy for me to believe that Karl would have been familiar with the revolver and had shot it before. He likely used the window ledge as a rest. By this time he and my father would have been friends for over 20 years, and co-workers for nearly 15. They remained close friends until death, 50 years in the future. In this document from the Texas legislature(pdf), the line by line differences in the House and Senate versions of HB 910 are shown. handgun carried in a shoulder or belt holster. I have highlighted the changed wording in the Huffines amendment. You can see that there is no substantive difference. In today's society with most people familiar with the cut and paste corrections of digital documents, one wonders if an early version of the Dutton amendment was cut and pasted instead of the one that eventually passed the House with a 101 to 42 majority. The legislation passed the Senate, 20 to 11. Governor Abbott has said that he will sign what open carry legislation comes to his desk. Whatever the case, the minor wording differences mean that a house concurrence vote will be necessary. There should not be any amendments or scheduling games, from what I understand. A concurrence vote should come this week, but I do not see it scheduled yet. 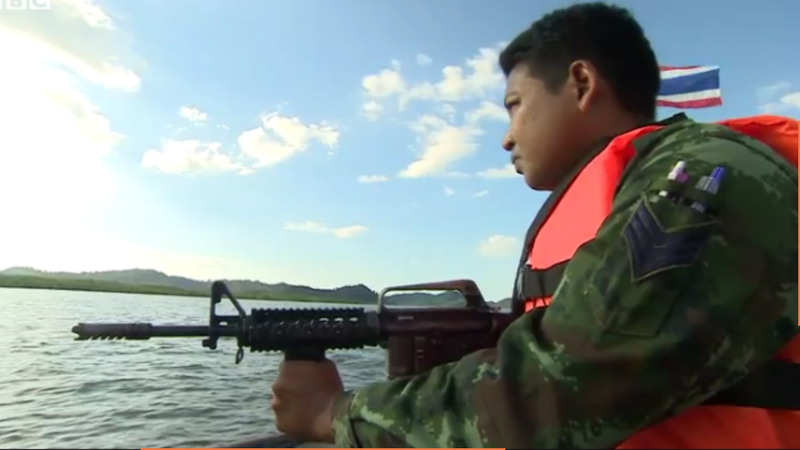 BBC, Thailand: Brown Receiver; Composite or Trick of Light on M-16? Manit told us his district had long been used by human traffickers to transfer migrants from boats to trucks. He wanted to stamp it out. But he was getting little help from the central government, or from local law enforcement. The BBC correspondent was allowed to join a patrol off the coast. 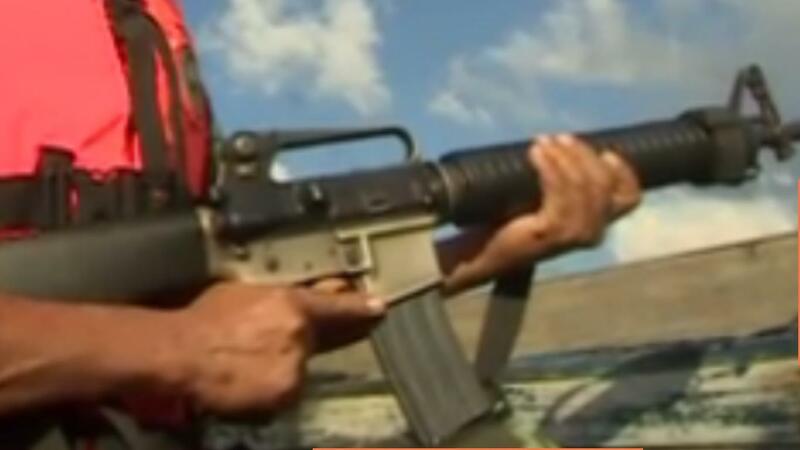 In the video we see what appears to be an M-16A2 with a composite receiver. If you look at the closeup of the receiver, it does not appear to be aluminum, but maybe it is just a trick of the lighting. Could it be that the lower receiver is a very worn lower that was cannibalized from another rifle? 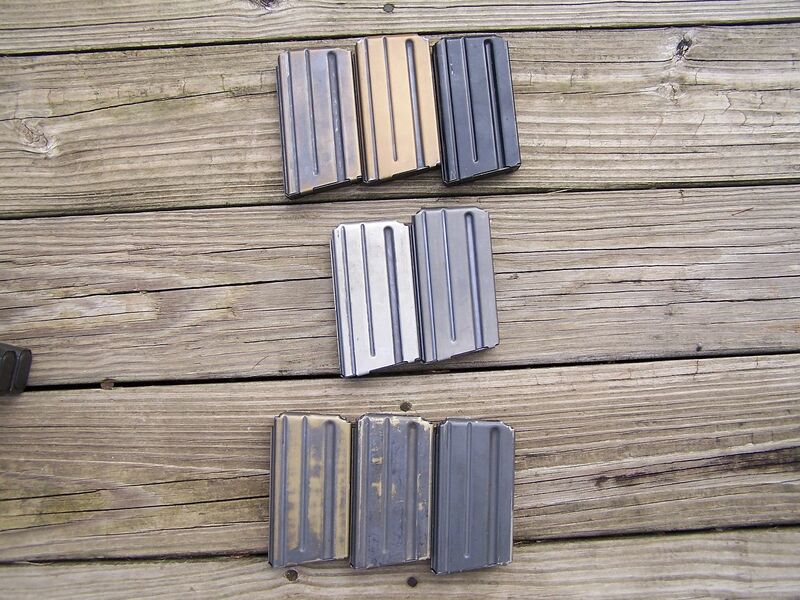 The wear on the reinforcing seem typical of a worn receiver, but the color does not look like the color of the upper receiver or magazine, or for that matter, like aluminum with the anodizing worn off. A retired Marine friend tells me that some of the early M16 receivers turned brown with hard use, because he had one that had done so. That is likely what we are seeing in this picture. A very early, worn receiver that has turned to a brown tint, rather than a stray composite receiver. I do not know of any military that uses composite receivers for the M16 and its variants, but I would be happy to be educated. The bright flotation devices indicate that no firefights are anticipated. I suspect that the color is closer to orange than pink, so there may be some color distortion in the screen shots. Has anyone else come across early M-16/ AR-15 receivers that wore/faded to a brownish tint? When I worked at NWSC Crane in the early 1980s, we reworked some 25,000 very well-worn former USMC M16A1 rifles and refinished the lower receivers with a high-temperature, high-adhesion graphite-based finish. After a year or so of being repeatedly oiled [especially if 2-cycle oil or transmission fluid was used] they did indeed pick up a muddy chocolate colouration. That rifle in the pic's fairly interesting because it's an early M16A1 [or XM16!] lower receiver upgraded with the heavier barreled M16A2 type upper. It could be that the user has a source of M855 ammo meant for the M16A2/M4 [which doesn't work too well in the 1:12 twist barrel of the M16A1/XM177E2] or it could simply be that the original barrel either wore out or got bent. My AMVETS post has two unanodized M4s with VERY shiny lowers, and to which I've fitted 10-inch stainless steel bayonets- all for parade duty for our honour guard. The rifle in the pic hasn't been so polished, but looks to be a pretty good match for magazines that have lost their protective coating after a decade or two of use. While second amendment supporters have been watching the progress of the open carry and campus carry legislation in Texas, another bill with significant effects has passed the Senate, the House, and will likely by signed by Governor Abbott. The legislation is SB 273, and it preempts the ability of most government entities to ban people who have concealed carry licenses from carrying weapons on most of their premises. The bill passed 26 to 5 in the Senate, and 116 to 23 in the House. There are significant exceptions. Carry is banned in schools, polling places while voting is taking place, courts or offices utilized by a court, racetracks, secured areas of airports, and in government meetings open to the public. Carry is still prohibited in places that serve alcohol which derive 51% or more of their income form the sale of alcohol for consumption on the premises, at high school, collegiate, or professional sporting events, correctional facilities, hospitals, nursing homes, amusement parks, and places of religious worship! Correction: hospitals, nursing homes, amusement parks, and places of religious worship are only off limits to gun carriers if they have a proper 30.06 sign in place. Several other states have enacted legislation to limit the ability of government entities to forbid the exercise of second amendment rights on premises that they control. Arizona requires that the entity provide a safe storage space for personal weapons; Kansas requires that weapons be banned only if security measures such as metal detectors and armed guards have been put in place to insure that the ban is more than symbolic. Mississippi has a provision similar to the Texas bill, to require local governments to remove no gun signs. The Texas legislation has teeth, but fair notice must be given to the government entities that break the law. Once a government entity is placed on notice that they are in violation of the law, they have 15 days to remove the offending sign. First offenses are fined $1,000 to $1,500, with each additional day a new offense; second offenses are fined $10,000 to $10,500, with each additional day a separate offense. It is likely that many gun free zones will be eliminated around the state. The significance of this law is that the default position has become that permit holders are expected to be able to carry most places, with some specific exceptions. Once signed by Governor Abbott, the bill will become law and go into effect on 1 September, 2015. Gun prohibitionists repeatedly use the “common sense” argument to push their anti-Second Amendment agenda, but an Indiana state representative, writing yesterday in the Indianapolis Star may have trumped them all with a 353-word opinion on concealed carry that should apply to every state. State Rep. Jim Lucas, a Seymour Republican, noted that he has previously introduced legislation to eliminate licensing requirements for citizens to carry a firearm. And then he laid it out in simple language that anyone can understand, provided they are not so mindlessly entrenched in the no-gun Utopia myth that they’ve abandoned reality. 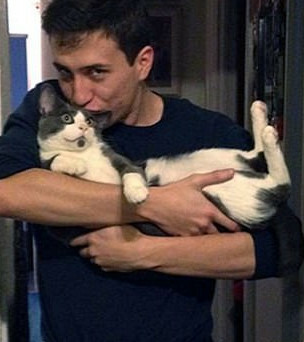 “Making good people helpless will not make bad people harmless,” Lucas wrote. Police arrived at 12:54 p.m. and were met by the shooter and the burglar. According to Sgt. Michael Miller of Bellmead PD, a man witnessed another man stealing tools from a truck in the Wal-Mart parking lot. The witness called police and approached the burglar, who began returning tools to the truck after he learned police were on the way. Police say 47-year-old Michael Hunter entered a residence in the 2500 block of Sherry Road on May 17 armed with a two-by-four. They say Hunter struck an acquaintance in the arm and the head with the object. According to the police report, the victim was able to retrieve a gun and fired several shots at the suspect. They say both wrestled over gun and when Hunter retrieved it he attempted to fire shots but it was empty. Police add that Hunter intended to cause death to the victim. The owner of a trucking company in northeast Houston shot and killed a man trying to steal from his business Friday night, authorities said. According to Houston police, the owner of the shop in the 8500 block of Westcott near Camay returned to his shop, which is currently still under construction, around 9:45 p.m. and found a man inside trying to steal some items. 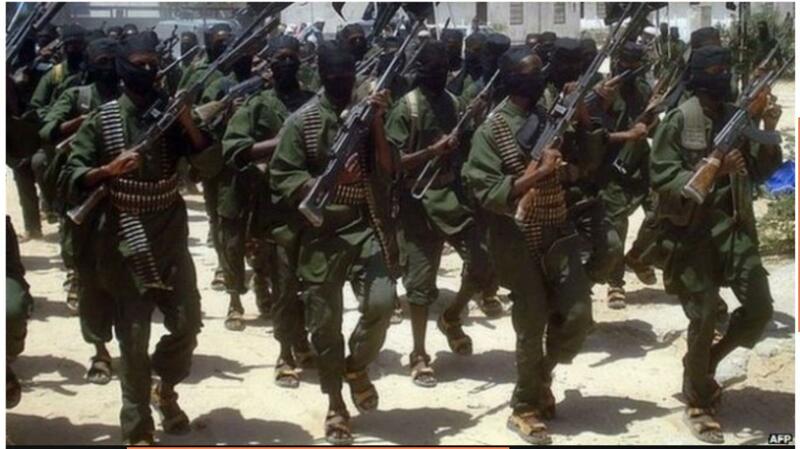 I found the photo of Al Shabab marching, presumably somewhere in Somalia, interesting. It gives a clear look at some of their weaponry. As an organization that deals in terror, I would expect it to be extremely conscious of the image that it puts forth. This likely explains the preponderance of PKM light machine guns in the hands of the four rightward ranks of the front marchers (their right). These are probably the most powerful weapons that are carried on foot by Al Shabab. I only see those four, and it appears that other troops are equipped with AK 47s of various types. At least one is a folding stock model. I do not see any evidence of spare barrels for the PKM machine guns, though that means little. All the troops that I see are wearing sandals. Much better than nothing. It appears that some Mali soldiers wear sandals. I do not know if they are standard issue. The vast majority of pictures of other African troops shows them wearing boots. The PKM uses the 7.62x54 rimmed round, which is not interchangeable with the 7.62x39 round that the AK 47 rifles are chambered in. The ammunition belts on the machine gunners are probably the standard 100 round model. Perhaps they are being carried exposed to play to the cameras. It seems a particularly bad way to carry them in combat, as it exposes them to tangle with leaves, twigs and grass, and to be caked in mud. In most depictions of the PKM, the belts are fed from an ammunition box. I would expect at least one or two helpers to work as a team with the PKM machine-gunners. The helpers could carry additional ammunition, and perhaps the spare barrel. I am mostly recovered from a nasty virus that I caught from my six month old grandson. At times I was sleeping, or attempting to, 20 hours a day, I could handle necessary chores, but simply trying to avoid coughing enough to breath comfortably, left me weak, and feeling too tired to exert myself. Walking a couple of hundred yards was exhausting. I had to go to the store a couple of times for off the shelf medicine and some ice cream, which I normally eat little of. I became acutely aware of how vulnerable I was. I could not move fast. I was so weak that a 12 year old girl could probably have taken me down. It is difficult to stay aware of the situation around you during a coughing spasm. I knew that my physical and mental faculties were severely degraded. It was hard to write even one article a day. Looking at it the next day, it was obvious that I was making grade school errors in spelling and grammar. My mother had been the first one to tell me that growing old was not for sissies, and this seemed to be a precursor of times to come. With luck, it happens to the best of us. It pushed me to think more about carrying in a degraded physical condition. First, I decided that open carry was advantageous. My slow pace and weakened condition made me an obvious target for human predators. Better that they be deterred by the presence of a gun than have to try to draw while under physical attack. 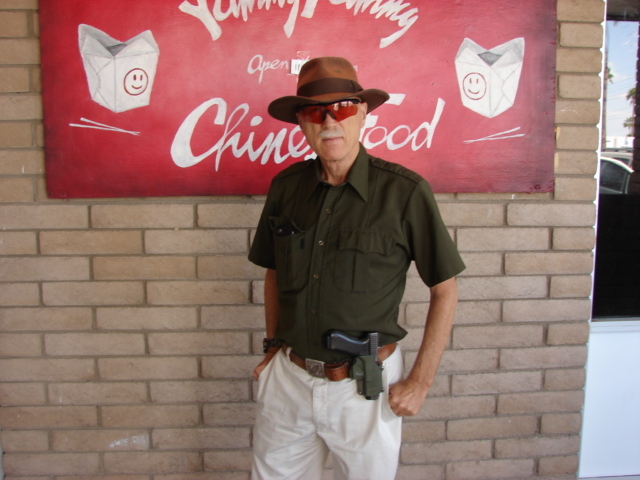 For the same reason, I moved the holster to a cross draw position, so that someone coming up behind me would have a much harder time grabbing the pistol and attempting a disarm. Another bonus was that it put the pistol between me and the shopping cart that I used as an aid in the grocery store. The shopping cart gave a little added protection and balance. The bulge in the right front shirt pocket is a smart phone with the lens peeking out. It has excellent ability to record video/audio. A small Velcro tab keeps it from flying out of the pocket. I tried a fannypack system, but it seemed extremely slow, and added minimal deterrent value, though it eliminated an obvious disarm. At least one fannypack system is specifically designed for people in wheelchairs. I do not claim to have discovered any secret, foolproof method to protect yourself when you are old, sick, and tired. There isn't any. But being armed gives you some chance. They do not call them "equalizers" for nothing. I was traveling up Arizona highway 95 from Yuma to Las Vegas to take care of some business. I follow 95 through Bullhead City, to avoid crossing a little, but inconvenient, strip of California. 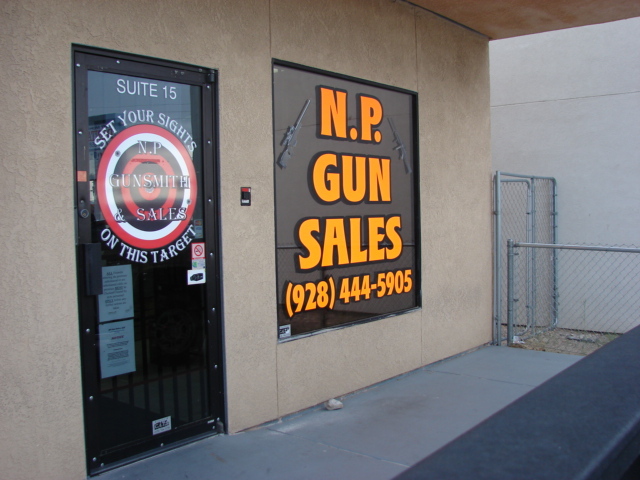 Just outside the southern city limits of Bullhead city, there is a gun shop, N.P. Gun Sales, on the east side of the highway. I was looking for some 16 gauge buckshot loads, which are not that easy to come by. It was a good excuse to check out the store. The first thing that I noticed as I approached the door, was this sign. 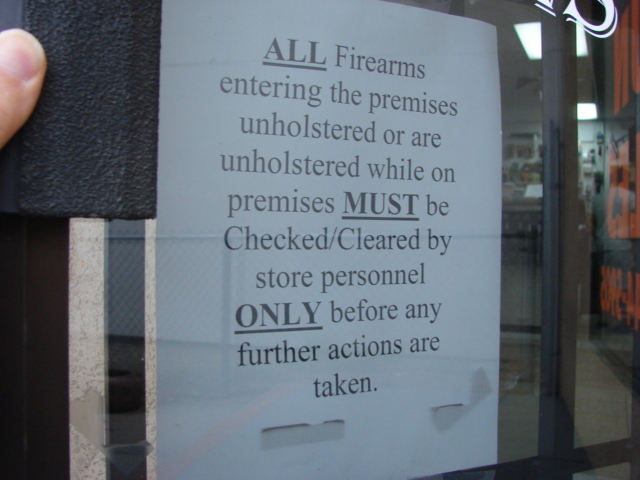 As I was openly carrying a Glock 17, in a holster, the sign seemed reasonable and prudent. 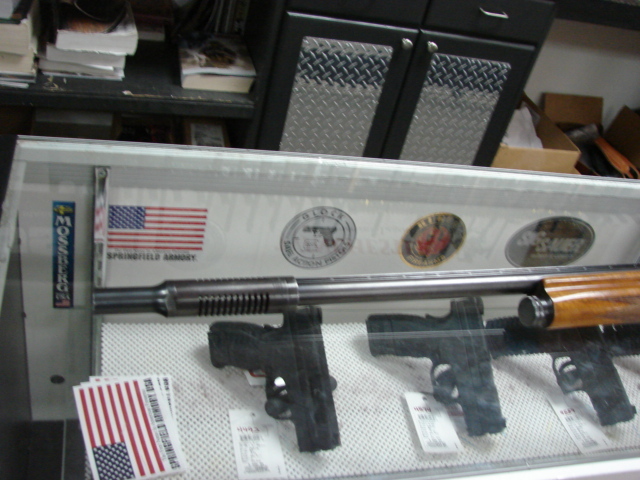 Neil, the proprietor, was busy with some customers that were purchasing a suppressor when I came in, but attended to me as soon as he was able. He did not have 16 gauge buckshot in the store, but said that he could order them. When I told him that I was heading to Las Vegas, he said that I could probably find them there. It was a nice stop, and I expect to stop again on the way back. 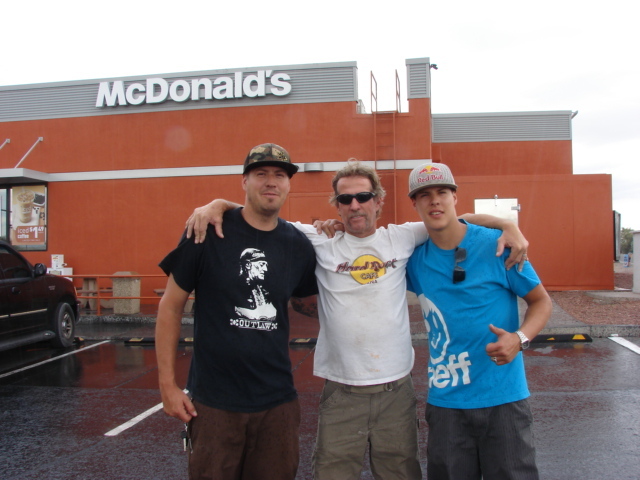 A few minutes later, after crossing the city limits, I stopped at a McDonald's to grab a bite. While I was standing in line, a man approached me and thanked me for open carrying. He said that this is why he had moved to Arizona from California, and that he was very glad to see that people actually exercised their Constitutional freedoms here. He introduced me to his two sons. I took their picture outside, where a shower had just wet the parking lot. People have thanked me before, and it was obvious that this sign of freedom meant a lot to him. The symbolism of open carry is something that not many people talk about, but it is clear that open carry is strong, effective, symbolic, political speech. It shouts out "There are limits on government power!" That statement is a powerful reason to openly carry. It sends a strong message that encourages the friends of limited government, and dismays those who want an increasing powerful nanny state to control every aspect of our lives. 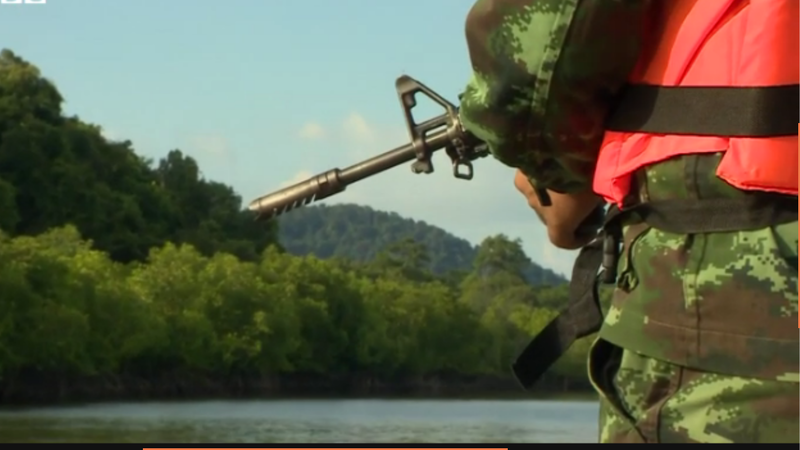 BBC Image: Thai Muzzle Brake on Upside Down? 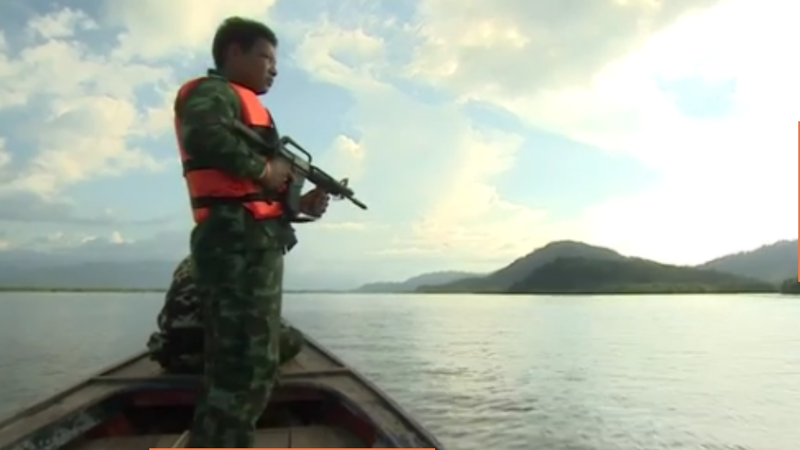 The BBC correspondent was allowed to join a patrol off the coast. In the video, the BBC is not shy about showing weapons, and they had a close up of this Petty Officer, First Class' muzzle brake. Notice that the slots are all oriented to the bottom side of the brake. This is 180 degrees out of how I would expect them to be oriented; in this position, the muzzle blast is directed forward and down, pushing the muzzle up, and creating a potential signature by kicking up dust, dirt, or leaves that may be below the brake in a prone position. I would not fault the Petty Officer, he was probably just issued the rifle. But, I have to wonder what the unit armorer was thinking. Perhaps I am missing something, as this is a Navy unit. At first, I found the blaze orange/pink life vest a bit jarring, but I realized that they were unlikely to be wearing them if they thought a firefight might break out. The chances for actual combat must be slim. Here he is, in the prow of the vessel. A nice shot showing the attached forward grip. The receiver seems well worn. Jamaica continues to have one of the highest homicide rates on the planet. It has had draconian gun control policies for 43 years. Around 1972, the political situation in Jamaica had so seriously deteriorated that there were constant shootings and gun battles throughout the city of Kingston and in many of the outlying parishes (counties). In years past no one had even had to lock their doors, but now many people hardly dared venture out of their homes. This was especially true for white people, and even more especially for Americans, because of the real risk of being gunned down or kidnapped and held hostage by Jamaicans, who had become increasingly hostile towards whites and foreigners. My father took his life into his hands every morning simply driving to work. Going to the market or to do a simple errand was often a terrifying prospect. The open hatred and hostility which was directed at us seemed ready at any time to explode into violence, and indeed did so towards many people on many occasions, often with tragic or fatal results. The Jamaican government decided that the only solution to this volatile situation was to declare martial law overnight, and to demand that all guns and bullets owned by anyone but the police and the military be turned into the police within 24 hours. The government decreed that anyone caught with even one bullet would be immediately, and without trial, incarcerated in what was essentially a barbed-wire enclosed concentration camp which had been speedily erected in the middle of Kingston. In true Orwellian fashion, the government referred to this camp as "the gun court." Smith said authorities advised Childers it would probably be safer for them to spend the night elsewhere. He said after the police left, Childers returned to his home to get some things and spend the night elsewhere only Lorance was on Childers' front porch waiting for him. Smith said he was drunk and angry at his neighbor for calling police on him. Lorance was not armed, according to reports. This was the point where it turned violent. Smith said Childers got out his Savage .22 semiautomatic rifle to scare Lorance off his property while his wife called 911 again. The defense goes that Lorance lunged at his neighbor and there was a physical confrontation, during which Childers fatally shot Lorance twice in the head. Taylor says her husband went out to investigate and the bear charged. She says she grabbed the rifle they keep near the dining room window and shot the bear in the head once. Montana Fish, Wildlife and Parks game warden Tyler Ramaker investigated the shooting late Thursday morning. 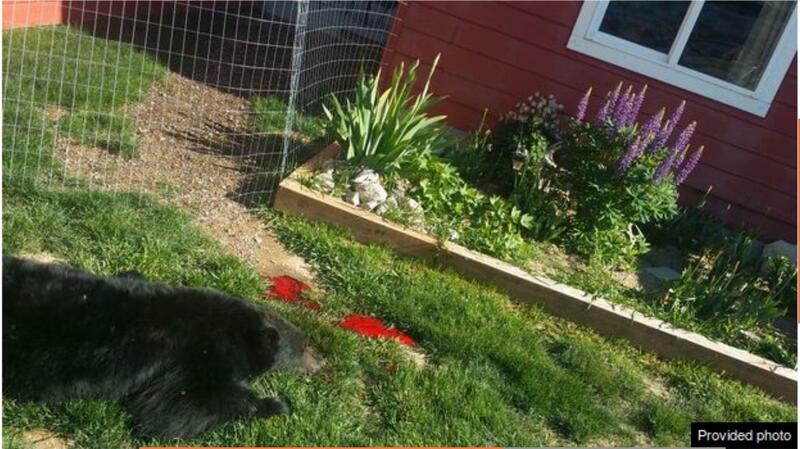 Update: Brandy Taylor shot the bear with a .22-250 rifle. It was only 8 feet from her window. State police say a homeowner on County Route 55 was sitting at a campfire with two women around 1:30 a.m. when they saw a man standing behind the house. The homeowner went inside for a firearm and confronted the other man when he came back out. The two men fought and the homeowner was stabbed several times in the shoulder with an unknown weapon. The homeowner fired one round from his firearm at the other man, who fled into the woods. They were forced inside and the two suspects began to search the home. At this point, one of the alleged victims retrieved a gun and shots were exchanged between them and one of the suspects. According to police, the two suspects fled in a dark colored vehicle. 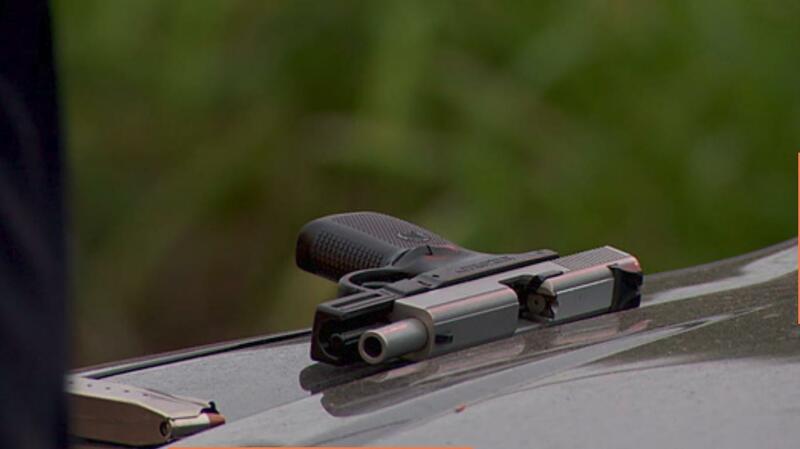 Smithfield, N.C. — A Johnston County woman was wounded late Thursday during an apparent home invasion, but she got some shots off herself at the fleeing intruders. 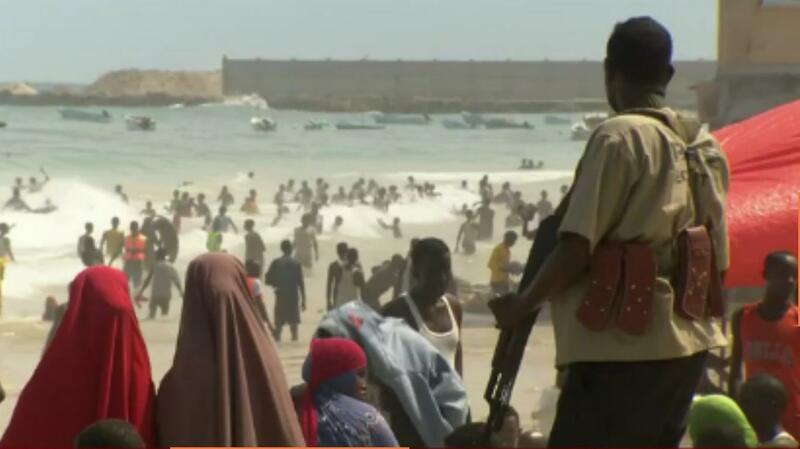 As I watched a BBC news story about how order is being restored to Somalia, I could not help but notice the beach guard with his AK 47 and the very nice, leather magazine pouches for 30 round magazines. They seem to be attached to a load bearing system with shoulder straps. From the uniformity of the pouches, it appears to be at least a local cottage industry. The top flap seems to protect the magazines from sand, and I expect that in Somalia, a desert country, mold and decay are not huge problems. I wonder how the leather is cured. I caused some finish damage to a rifle that I had, because I left it in a Mexican leather scabbard. The Mexican leather was cured with a salt solution that promoted corrosion rather easily, I was told. On 22 May, 2015, the Nevada House passed SB175, a bill that combined a ban on people who have domestic violence convictions with major firearm law reforms. The domestic violence law mirrors federal law, so it will have little practical effect unless the federal law is repealed or struck down by some future court. The bill passed the Senate 14 to 5, and the Assembly, 25 to 17. Governor Sandoval is expected to sign it. 1. Extends the State castle doctrine law to occupied motor vehicles. The reform is likely to increase the current number of states whose permits are recognized from 14 to 34 or more. We will not know for certain until the list is published. 3. State preemption law to insure that firearms laws are uniform over the entire state. 4. Requires repeal of any local ordinance in conflict with the new law, including the Clark County registration ordinance. If any person is adversely affected by local ordinances that do not follow state law, local officials are subject to lawsuit and payment of three times damages, plus court fees and attorney fees. Membership organizations whose members are affected may bring suit. The Clark County registration has been a sore point for Nevada residents for years. I have never registered firearms with them, as there is a 60 day grace period for registration. 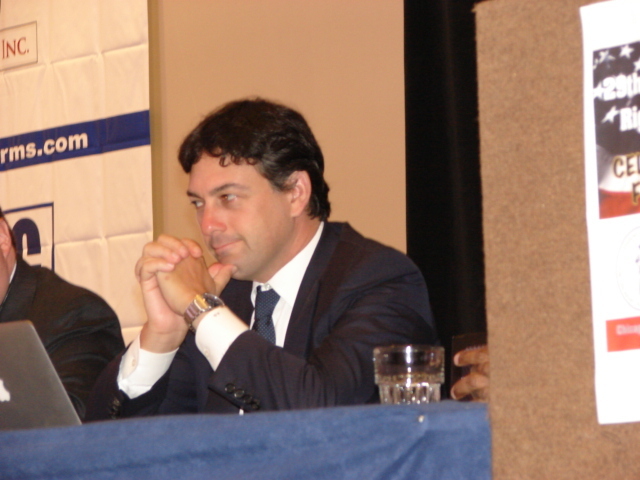 The registration records are required to be destroyed as part of SB 175. “He told me, ‘You know what this is,’” Fannin said. That is when Fannin says he pulled his gun out. “I asked him to get out the car, probably not in those exact words,” Fannin said. “I told him no, there’s no leaving, leaving was before you hopped into my car ... at this point there is not leaving,” Fannin said. The car owner kept the suspect, Edgar Horn, 61, at gunpoint face down in the parking lot for several minutes until police arrived. The homeowner told police he shot the burglar, who then hopped into a charcoal-colored Toyota Corolla with three other men and sped away. Police are attempting to track down the suspects. No one had been arrested as of Thursday evening. BENTON TOWNSHIP - A Benton Township woman arrested last Friday after allegedly shooting her ex-husband in the leg will not be charged with a crime and has been released from jail. Berrien County Prosecutor Michael Sepic said he declined to charge Pamela Ross, 50, in the shooting of Rolland Ross, 52. It happened at about 3:15 p.m. at a house the two share at 2185 Holly St.
Benton Township Police Detective Lt. Brian Smit said police were called on a report of a woman having shot a man. Obeid, who watched the robbery on the store's surveillance video, said the two men continued to take items from the store. "They went back in the office and took some more money," she said. "They ram-sacked the office and took the DVR system and monitor, then slammed them both." Sollie said as the robbery suspects were exiting the shattered front door, a relative of the clerk pulled into the parking lot, exited his car and a gun battle ensued. "My brother-in-law showed up and saw what was going on, so he automatically pulled his gun," Obeid said. Her nephew also fired shots at the men, using a separate weapon, she said. Under the new law, SF 878, Minnesotans will be able to legally purchase and own gun mufflers if they do so under the restrictions of federal law. It is a step forward. The law limits the ability of authorities to confiscate firearms during designated emergencies. The possession of a permit to carry now constitutes the notification required to carry in court houses and certain state buildings. People with a permit will not have to notify authorities in advance of their carrying in those areas. Minnesota residents may now purchase firearms in any state in which it is allowed by that state's law and the Gun Control Act of 1968. Recognition of permits from other states is changed from a list of states with "substantially similar" permit laws, to recognizing all state permits except those that are *not* "similar", with the list of those which are not similar to be published on the Internet by the Commissioner of Public Safety. The Commissioner is appointed by the Governor. The list of states that are not similar must be published annually. The law goes into effect on 1 August, so we shall see if the Commissioner publishes a list before that date. These reforms passed with considerable bipartisan support, and with large, veto proof margins. Governor Dayton said that he would veto the gun reforms, but they were attached to an appropriations bill. He would have shut down the State if he vetoed it as stated, so he signed the bill, and took credit for it instead. Addenum: If a list of states that are *not* similar is not published, then all permits will be recognized. The law places the burden on the Ccommissioner, not on the permit holders. There are two bills in the Texas legislature to reform the State's knife laws. 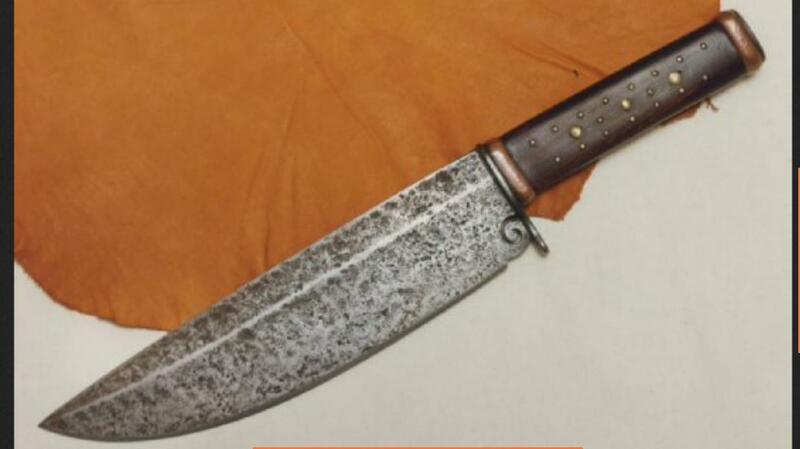 HB 905 adds knives to the state preemption law for firearms. This will prevent people from unknowingly becoming criminals for local ordinances that they are unaware of. The local ordiances are infamous for being selectively enforced. The second bill, HB 3884 decriminalizes arms that are clearly protected under the second amendment, highly desired knives such as Bowie knives, daggers, swords, and spears. Strange as it may seem, these knives were made illegal to carry during reconstruction in the 1870's, and the law is still on the books. Both bills are very popular, and passed the House unanimously. Now they have passed the Senate Committee on Criminal Justice unanimously, and have been recommended for the "Local & Uncontested" list, where bills that are non-controversial are passed in an expedited manner. It appears that the popular knife reforms are on the fast track. 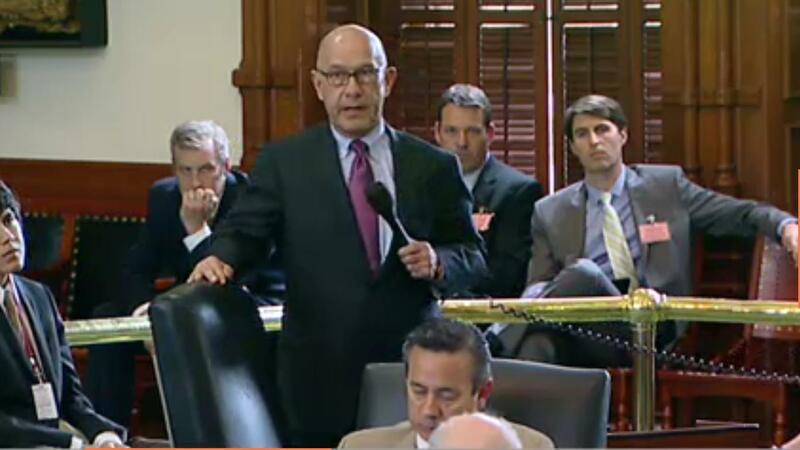 Senator Whitmire, D Houston, during his non-filibuster filibuster. The debate over this amendment, amendment 9 in the Senate, grew almost farcical at times. Senator Whitmire, Democrat from Houston, a senator for 32 years, engaged in what amounted to a mini-filibuster. It appeared clear that he was simply trying to delay, delay, delay. It shows how incremental violations of rights lead to greater and greater violations of rights. He made the claim that no probable cause was needed to ask for a license, because game wardens, and people involved in maritime activities could be stopped and asked for licenses. Those infringements on 4th amendment rights were being used to justify more infringements. He said that he is not filibustering, as he essentially filibustered. He said that African Americans are only 7 percent of CHL holders, thus implying that harassment of open carriers was not an important issue. He must have know he did not have the votes, or he would not have kept blathering. At the end he admitted the obvious, and said that he opposes the amendment, and would oppose the bill afterward. Then Joan Huffman, a nominal Republican from Houston, got the floor and gave a face to the term RINO. She repeatedly tried to obfuscate about the amendment, in my opinion. I lost all respect for her. At one point, she said "No one is infringing on their second amendment rights." I could have given her a dozen examples to prove her wrong, but I am not a Texas Senator. Eventually she asked for a recess to print copies of an amendment. Her five minute break ran over to 30 minutes, only to withdraw the amendment to the amendment after a procedural challenge. It appeared to be a calculated delaying tactic. As much as she claimed otherwise, her actions seemed motivated by a desire to kill the bill. Why was there such intense debate over this amendment, which legally, did very little? Simple. If the amendment passed, the bill did not have to go back to the house, and would go directly to Governor Abbott. A vote for the amendment was a vote to pass open carry, with no more legislative games. That is exactly what happened. Finally, the Senate voted on amendment 9 and passed it 19-12. Then they passed the third reading vote, 26 ayes, 5 nays. Then they moved to suspend the constitutional three day rule: 26 ayes, 5 nays. Final Passage: 20 ayes, 11 nays. Now the bill will go to Governor Abbott, who has pledged to sign it. There will be a few days to meet the legal requirements, but it appears that open carry will become the law in Texas on 1 January, 2016. Breaking update: There is a minor wording difference in the Senate bill. The House may need to concur with the Senate bill to send it to the Governor. This should be a simple procedure with no scheduling games, and no amendments. FL: Home Invasion Gunfight, no Charges? CA: How many unsolved Homicides are Self Defense?